Over the past year and a half, I have developed a certain fondness for writing with fountain pens. The affair started in late 2013 – when I started working on my essays for submissions at various b-schools. Back in 2007, fresh out of college, I started my first job. As with most jobs, I was completely dependent on my laptop for office work; hence, I started losing touch with everyday writing using a pen and a paper. The only remaining interaction with pen and paper was to scribble notes and comments in a fast, barely legible handwriting during office meetings. With increasing dependence on laptops, there came a day when I was able to type faster, and in a more legible format than I could scribble on my notepad. Post-2009, the only times I used a pen was to either sign on cheques or write small messages on the greeting cards being passed around at the office. Circa 2013, I started writing my college applications. Soon, realization dawned upon me that most of the essays take much more than one-two straight sessions to properly convey the message. Hence, I started keeping a journal in which I used to write ideas/few paragraphs as and when I found myself in an appropriate frame of mind required for the task. Years of using ball pens to scribble notes or write small pieces of text made my hands go much faster than I was trying. I was in actual physical pain if I tried to write slowly concentrating on my handwriting. It was then I stumbled upon the world of fountain pens with the help of a friend, who himself is a pen connoisseur. There was no turning back post the day I bought my first fountain pen! Though, I must mention, my first fountain pen was of an unknown Indian brand and costed just shy of 3 Euros! 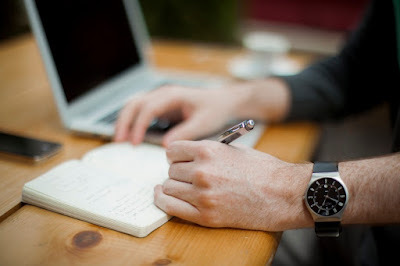 Grip: Holding a pen and writing for a few minutes is essential before making a buying decision. Fountain pens are generally long-term purchases and the owner should be very comfortable using them. Filling mechanism: Broadly, you can choose between piston mechanism and cartridges. Pen manufacturers usually provide one default mechanism, but it is relatively easy to switch between the two. Simply put, I like the scratching sound which the nib makes while writing on the paper! The scratching feeling indicates some idea / thought is getting transferred from me to the paper via the pen! Also, slowing down the writing process also helps me think well while putting ink on paper and at the same time helps me in getting back my writing to legible, sometimes artsy levels. Currently, I use an entry level Lamy with a polished steel nib and a cartridge ink filling mechanism. My wishlist of fountain pens is currently growing in a secret bookmarks folder, with most of the usual suspects from Montblanc and Cartier. But, I guess, any action on it is adjourned till I exit my student status and enter a full-time job!